Our custom designed plans include a foundation (most drafters charge extra), all elevations, details, and window specifications relative to your chosen manufacturer. 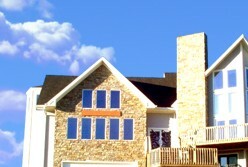 We also will work with the builder/homeowner to achieve the design they desire. Please feel free to enjoy searching our pre-made plans that are online. Also be sure to check out our visualization services. See what your house will look like before it is built! Click here for more information about our services.